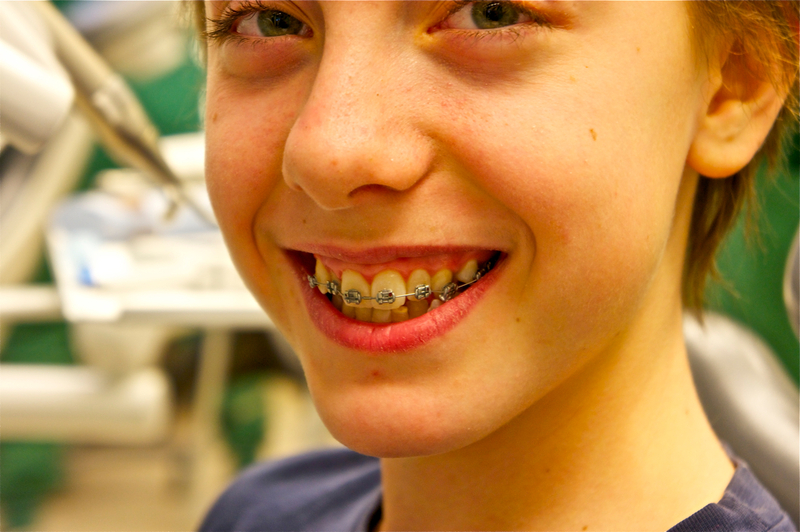 Traditional braces use a system of archwires, brackets, and rubber bands to straighten and realign crooked teeth. Self-ligating braces that Dr. Kyle Childers and our team at Childers Orthodontics provide, by contrast, use specialized clips to hold the archwires in place instead of rubber bands. But what makes self-ligating braces so good? Self-ligating braces make it easier to keep your teeth clean because there are no rubber bands. Rubber bands collect food particles, and this can lead to an increase in plaque and decay. Have you ever tried to brush for two minutes with a mouth full of rubber bands? It’s tricky. Self-ligating braces improve oral health. Self-ligating braces are smaller and less noticeable than conventional braces. Most kids are self-conscious about how they look (flashback to those 1980s comedies), so braces that are subtle and less conspicuous are a huge draw. Self-ligating braces are more comfortable than traditional braces. Less pressure and friction are placed on the tooth. These types of braces also need fewer alterations and adjustments, so chances are you will save money by making fewer appointments with our office. Self-ligating braces move crooked teeth into place more quickly than conventional braces. In other words, you’re going to wear self-ligating braces for a shorter amount of time than traditional braces. Orthodontic work can be expensive. Self-ligating braces, however, cost about the same amount of money as traditional braces. Dr. Kyle Childers and our team are proud to offer self-ligating braces as an alternative to traditional metal braces with our viable financial plan. Ask our team if they are right for you by giving us a visit at our Benton, Harrisburg or Herrin, IL office! Damon® Smile Braces Childers Orthodontics Wants You to Smile for a Lifetime!